Our team included 8 techs and 5 Librarians. The Librarians used their skills to train the ANU Librarians and to help enter books into their new digital catalogue system. Our team was multi-national. 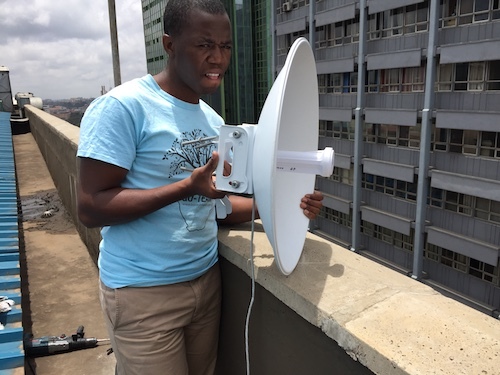 In addition to members from 4 US States, Southern Africa Nazarene University (Swaziland) sent a Tech and a Librarian to participate. We worked closely with ANU staff Carla Frasier, Rob North, George Athoye, Moses Karani, Daya, Antony and more to accomplish our tasks. They are a blessing. 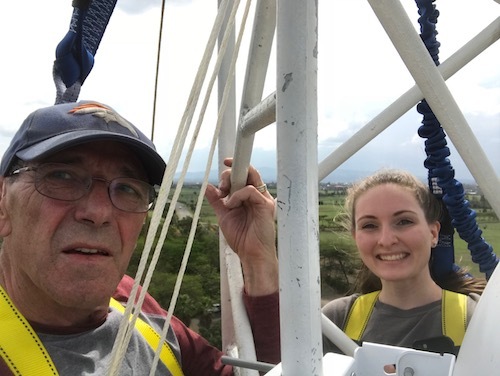 We were able to install a wireless point to point system to connect the main campus with town campus (8.5 miles). Through the system, they will be able to unify their networks, video conference classes and chapels, and simplify network administration. The new connection is faster and much less expensive that what they were previously using. 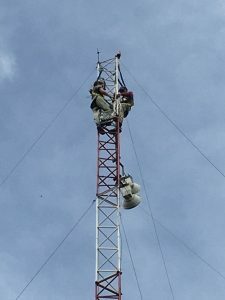 To do this required climbing a 30 meter tower to install the point to point system. We are very thankful for the donation of industrial safety harnesses that kept our team safe. We were able to celebrate Easter at the ANU University Church. It was a privilege to worship with them! We visited the Giraffe Center, which was a great experience. 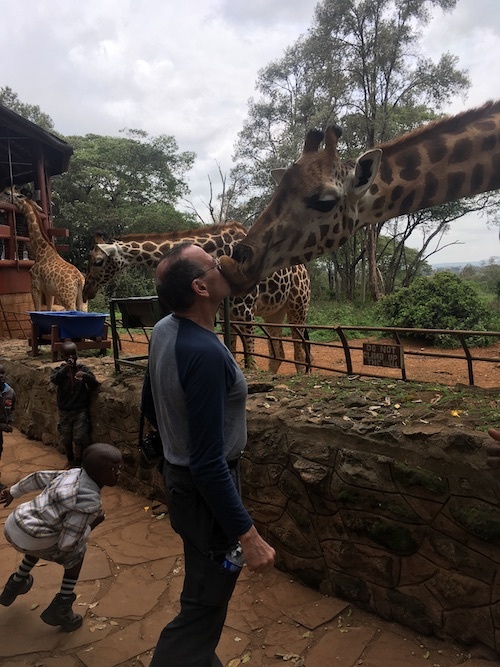 Unfortunately, one of our team members got a little closer to a giraffe than he was anticipating (see the pictures below). This entry was posted	on at and is filed under Past, Project Posts, Project Work. You can follow any responses to this entry through the RSS 2.0 feed. You can skip to the end and leave a response. Pinging is currently not allowed.